Let your imagination take you beyond your physical limits with the Position Master with Cuffs. The sturdy straps hold your legs firmly in place so they don't tire just when things are getting good, while the wrists cuffs ensure your subject won't escape anytime soon. 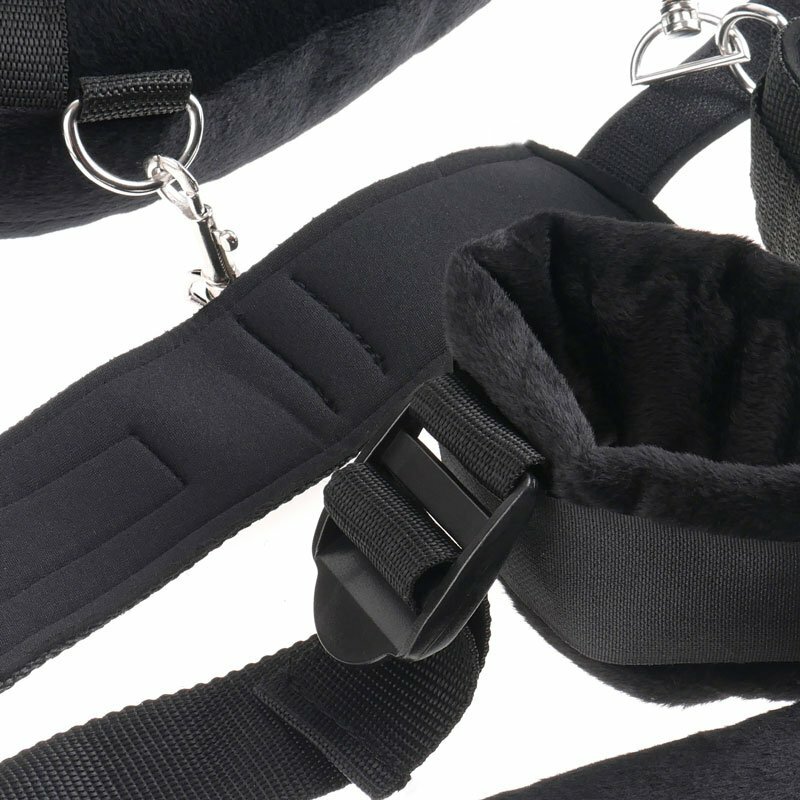 The neck harness is soft and cushioned allowing for maximum comfort. The straps adjust quickly and easily with a simple tug, so you control the placement of your legs at any point during play. Assume the position and be the master of your next encounter.